Great news from a museum that is quite close to my heart. 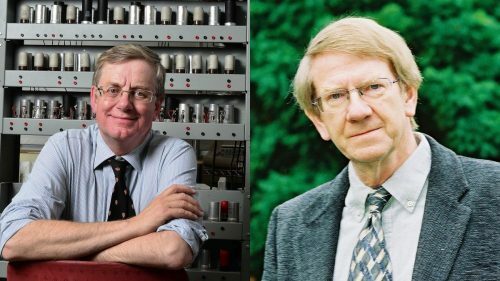 The National Museum of Computing has two new trustees. Both have a great history in the history of computing. The museum isn’t just a great resource for everything computing over the last 70, or so, years but a great day out to show the youth of today what their parents had to use when they were that age. Computer scientist Dr Andrew Herbert and computing historian Professor Martin Campbell-Kelly have each had links with TNMOC for several years now join the Trustees Board. They will bring contrasting and complementary skills to assist in the development of the Museum. Professor Martin Campbell-Kelly is a computer historian and an emeritus professor in the Department of Computer Science at the University of Warwick. He became fascinated by computing in the mid-1960s and enrolled for a computer science degree at the University of Manchester where he was taught by some of the pioneers of early computing. He has authored several books including histories of ICL, software, and international computing. He is a Fellow of the British Computer Society, a member of the ACM History Committee and a committee member of the BCS Computer Conservation Society. He also sits on a number of editorial boards including the IEEE Annals of the History of Computing. Dr Andrew Herbert obe, freng graduated in computer science from the University of Leeds and gaining a PhD in Cambridge in the 1979. He then began work at the famed University of Cambridge Computer Laboratory under Sir Maurice Wilkes and Roger Needham. He went on to found two entrepreneurial computing companies and in 2001 joined Microsoft Research in Cambridge, becoming its managing director two years later. He is a Fellow of the Royal Academy of Engineering and of the BCS, and a Liveryman of the Worshipful Company of Information Technologists. He was awarded an OBE for his services to computing in 2010. Now retired, Dr Herbert leads the EDSAC reconstruction project at The National Museum of Computing and pursues other, often engineering-oriented, interests.